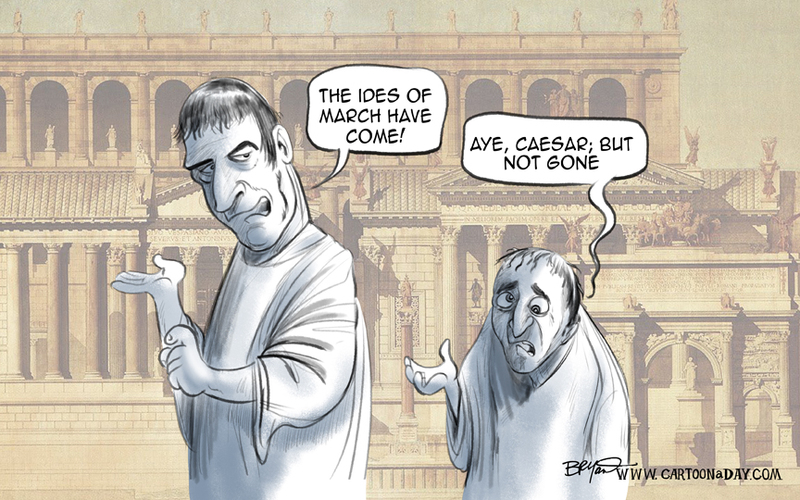 Ever hear the phrase” Beware the Ides of March”? 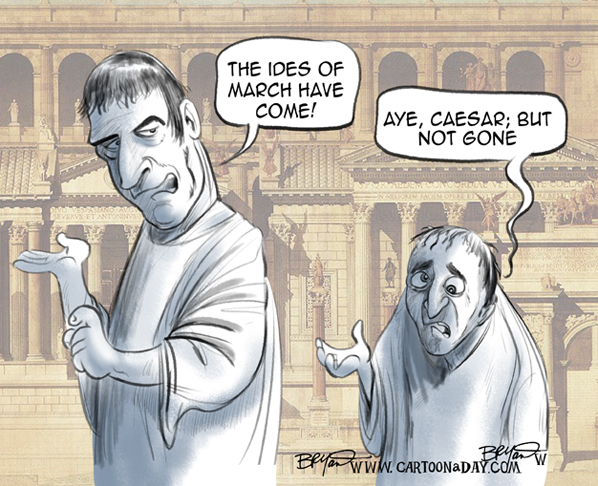 Dating back to the Roman era, “ides” signified the middle of any month. The Roman calendar also started as March being the first month of the year. Many associate the middle of March as a season of dangerously high winds before the spring showers. But most importantly, Emperor Julius Caesar was assassinated during the Ides of March. Caesar was then promptly stabbed to death nearby by Roman Senators, led by Junius Brutus.